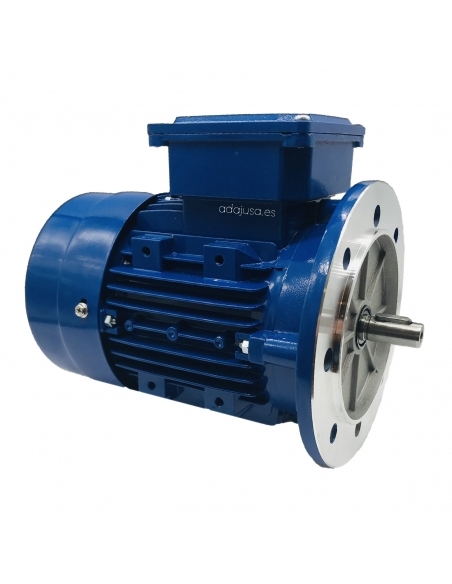 Electric motors with single-phase starting torque, flanges type B3 (legs) B5 and B14. 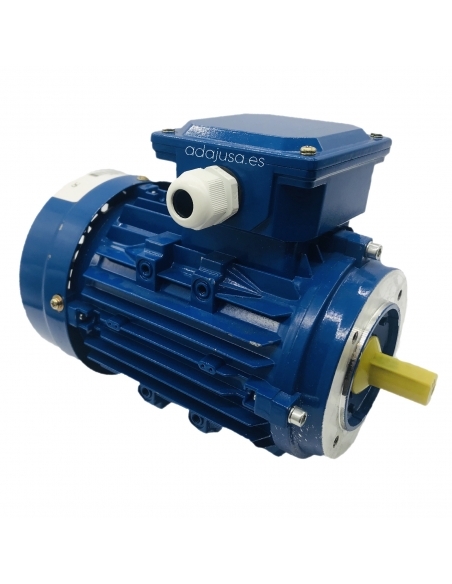 Oil retention on the output shaft and rear cover-shield to prevent the entry of dust, water, oil or foreign particles inside the motor. Half starting torque. - IP55 Completely closed. - Ventilation: Exterior. - Class F insulation - EFF2 - Voltage: 230V. 50Hz - Revolutions: 1500 rpm. 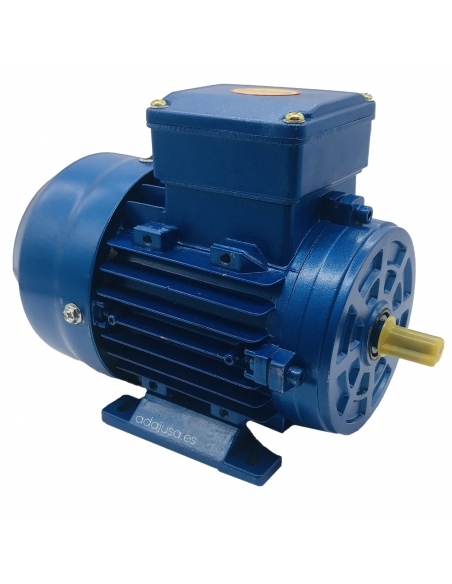 Single phase electric motors, starting torque, 230Vac. 1500 rpm flange B3 (feet). Single phase electric motors, starting torque, 230Vac. 1500 rpm flange B5. Single phase electric motors, starting torque, 230Vac. 1500 rpm flange B14.